A few weeks ago when I was looking to ship few things from the USA to Qatar a friend of mine recommended using Shop & Ship by Aramex. So imagine my surprise when 4 weeks later and the Shop & Ship team emailed me for a partnership collaboration which includes a free lifetime membership (worth $45) plus 5 VIP tickets to the Redbull Car Drifting event in Doha! For the expats living abroad or for those living in countries that don’t always have easy international shipping Shop & Ship by Aramex is the answer. 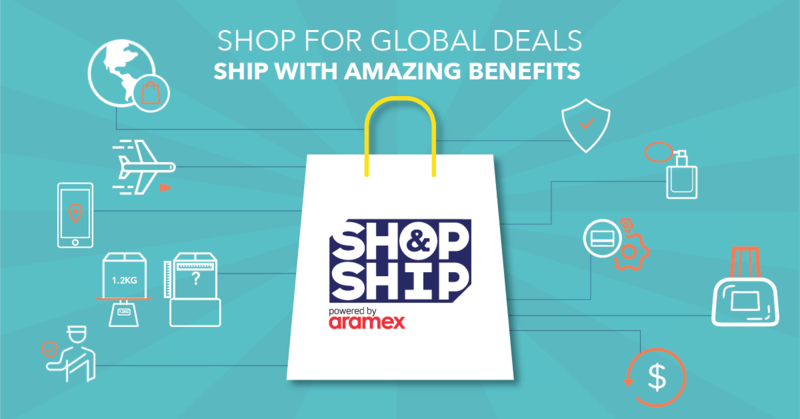 Shop & Ship delivers to more than 80 destinations across the globe and is powered by Aramex, one of the leading logistics companies in the MENA region. Now moving to Doha, I really wanted to order a few things from the USA but as many of the sites don’t deliver to Qatar it was tricky. This is where Shop & Ship by Aramex comes into play. They will basically act as a middle man between the online retailer and you if the retailer doesn’t ship to your country. #1 Visit the Shop and Ship website and to sign up here. #4 After having placed your order on the US website the shipment will be sent to their warehouse in New York after which they send it with express speed to you. So what is the competition about? First, the reason why I agreed to promote this service is that I know it will benefit many of my readers in various countries that don’t have easy international shipping. Plus you get a FREE Basic Lifetime Membership with Shop&Ship even if you don’t have to use it now, it might be useful 2 years down the line. Why pay $45 when you can have it for free now. Second, one of the coolest experiences is coming to Doha on the 10th, the Red Bull Car Park Drift (CPD) is the largest drifting competition in the MENA region, where all the best drifters participate. Five MTG readers who sign up for the service above will also enter to receive VIP tickets for two to the event in Doha on the 10th of November! Just make sure you enter the SNSMTG as this is how they will pick the winners! If you are only after the free Shop&Ship membership know that the Free offer is available until the 18th of November only! p.s. For my lovely readers living in South Africa and wanting to join in, email me or comment below and I can provide you with your own lifetime membership access too! Im living in South Africa , this would help tremendously. Please can you share the lifetime membership access code. I have emailed you the details I believe. Thanks so much. This sounds great. There have been so many things I have wanted to purchase that was impossible as you can’t get it in South Africa. Looking forward to getting the free lifetime membership access and trying it out.